With the winter winds blowing outside, nothing says cozy like being curled up in your favorite chair with a hot beverage and a good book. 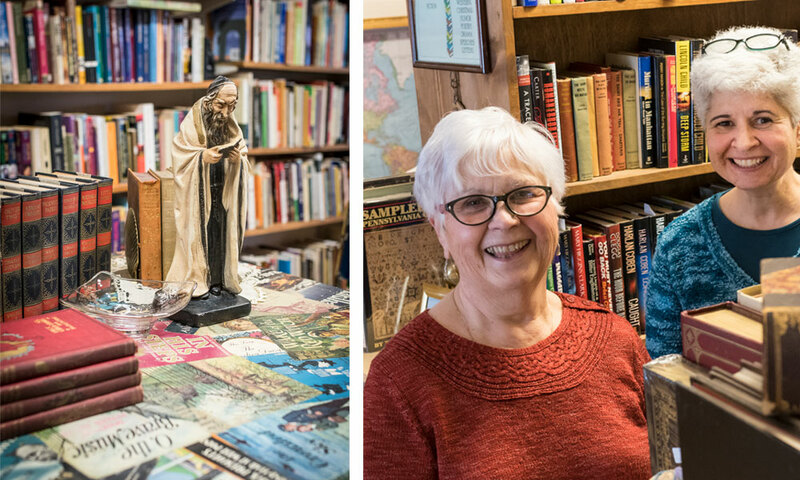 Instead of trying to compete with the big chain stores, independent Lehigh Valley booksellers have carved out their own niche in the used, antique, and hard-to-find book market, while still maintaining their own unique vibe. 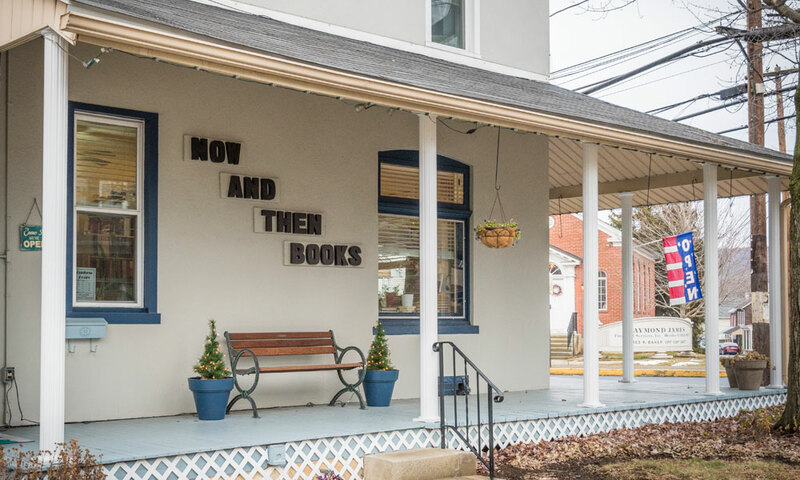 The Emmaus-based bookstore Now and Then Books centers its operation on its customers. “The most interesting stories don’t come out of the books, but the people that come in the store. We have a well-curated store, it’s clean, it’s well organized, and the books are on the computer—our inventory is always fresh,” says Thomas Christian, who co-owns the store with Dennis Corcoran. Christian says that cozy mysteries, literature, and young-adult fiction are currently popular. General fiction is big with his senior customers, and college students come in looking for the classics for their upcoming classes. The store carries general fiction, mysteries, collectible first editions, literature, local history, travel, biography, science fiction, and a large young adult section. They also have a kids’ room with bean bag chairs for little readers. 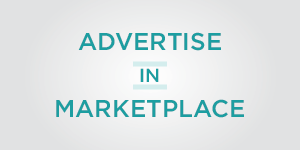 The average price of their books runs from $4 to $7, roughly half the cover price. The store is unique in that they accept trade-in books for store credit. Christian says that customers may use their store credit toward half the cost of their purchased books. 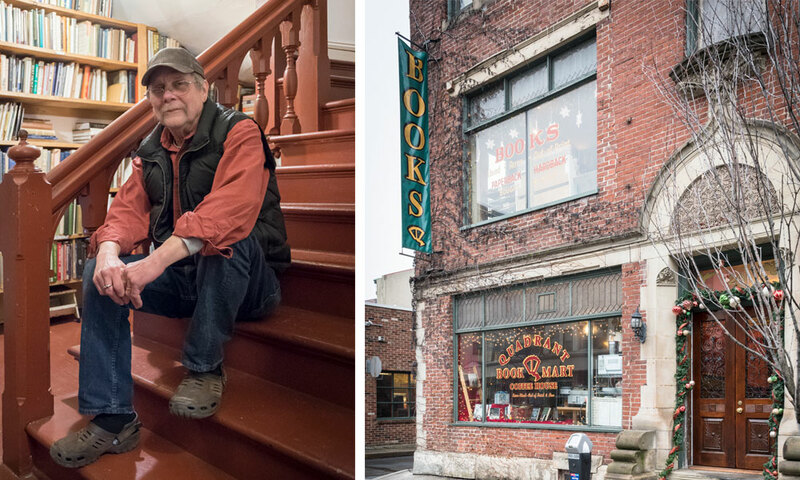 The Quadrant Book Mart and Coffee House has operated under its name for more than two decades. “In general, although we have [a] whole room full of fiction, we tend to look for scholarly materials in almost any subject area. Right now we’re strong in philosophy, math, science, biography, lots of non-fiction,” Danielsons says. The median price range is between $5 and $50, although they have a $1 table and a book set for $4,500. What also makes the two-story shop special is that it has a coffee shop where customers can get breakfast and lunch until 2 p.m. Even the coffee house area is lined with popular fiction books. 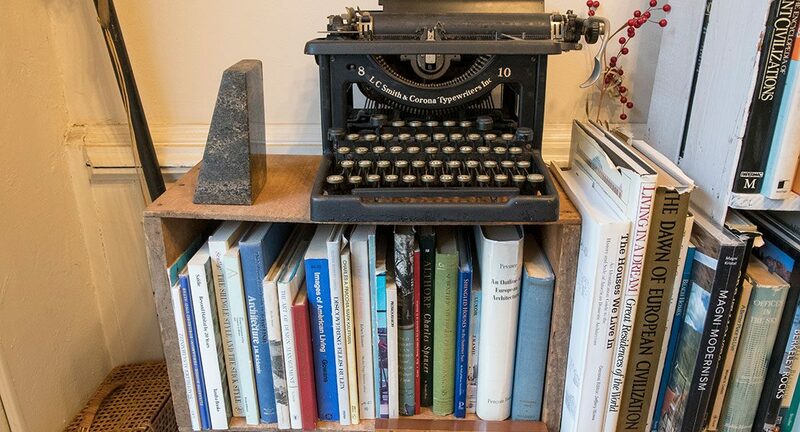 Nearly every room contains chairs and tables for perusing book spines. The store’s more fragile and hard-to-find books are available online. With an eye on providing full service, the shop also sells a few antiques and framed and unframed prints. “When couples come in and one likes to look at books and one doesn’t, there is something for them to do,” says Taylor. The Old Library Bookshop doesn’t specialize in paperbacks or current fiction by authors such as Danielle Steel and James Patterson. Capozzolo says: “We cater to clients that are looking for special items that you can’t find at big bookstores. We try to preserve things that people are interested in that you can’t find.” Their average price range is $6 to $10. “People say that kids don’t read these days, but we don’t find that here. Young adults just out of college . 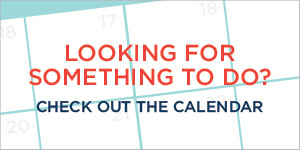 . . like to come in and buy the more collectible things,” says Capozzolo. The store also has a children’s section with a basket of books for 50 cents each. Whether you are taking a quick trip out to find your next book or are making a day of it, you’ll want to check out these bookstores. Be mindful that these bookshops do have limited hours, so check with them before setting out. Here are some additional Lehigh Valley bookshops to include in your book hunt.